CURLSASK, in partnership with Affinity Credit Union, are pleased to present an initiative to assist curling clubs in getting new people interested in the game, past curlers to come back to the game or existing members to become better curlers. There is also an opportunity to raise funds for your curling club. 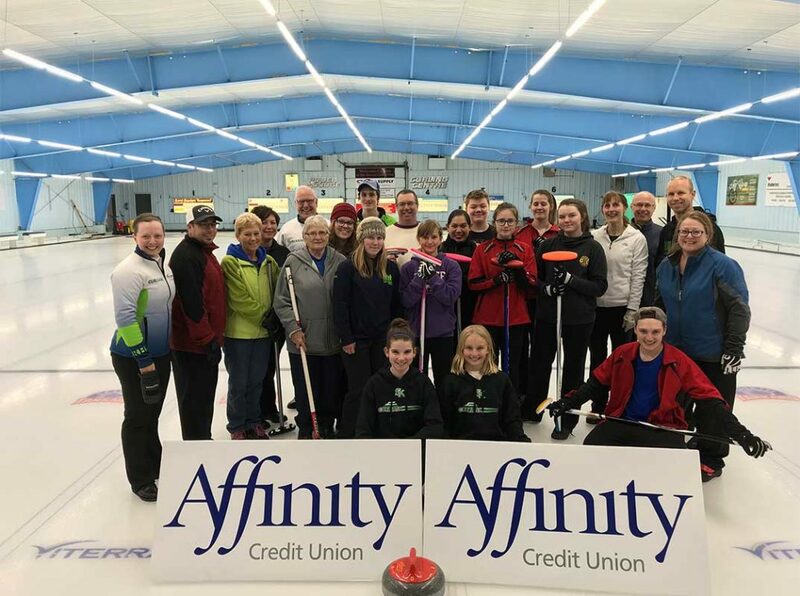 Four Curling Clubs within Affinity Credit Union communities will be selected to host an Affinity Credit Union “Curling in Your Community” Instructional Clinic. CURLSASK provides the instructor(s) at no cost to the curling club and the club provides the participants. The clinics are 3 hours split between on and off-ice sessions and customized to work with the participants that you have. Preference is to target adult participants with a focus on increasing or enhancing membership into the club, but some youth are involved as well. Clubs are adding a social component (wine & cheese, beer & pizza, lunch-n-learn) with the clinic to ensure a fun and social atmosphere. Affinity Credit Union will have representatives in attendance from the local branch to assist with the event and to promote their services within the community. CURLSASK is already seeking interested locations for the next curling season to host one of the clinics. Complete the Registration Form and return it to CURLSASK.